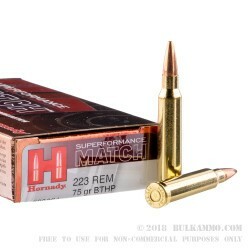 This 223 Rem cartridge by Hornady is from the manufacturer’s Superformance line of ammunition. 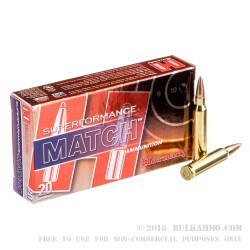 Hornady boasts that the technology in this cartridge, which includes a proprietary propellant and high quality brass casing, gives it a 200 fps muzzle velocity advantage over similar rounds without added recoil, chamber pressure, or loss of accuracy. 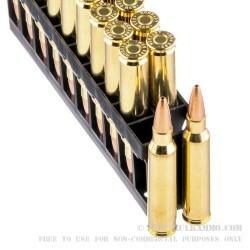 This round features a 75 grain hollow point boat tail bullet. 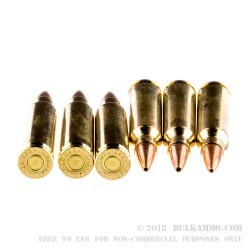 Its hollow point makes it ideal for hunting varmints, as it will expand to cause great damage within a coyote, boar, or whitetail as well. Its boat tail design stabilizes its flight to further improve accuracy and increase its ballistic efficient, as well as protect it against the deleterious effects of crosswinds.